Single piece cast iron housing for table bearing and drive gear box. Rigid turn table with T-slots and adjustable manual clamping jaws. Choice of RAM types with / without live tools. 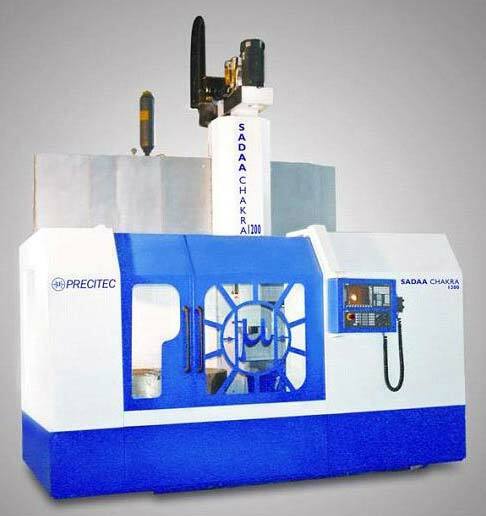 Machine with C-Axis controls with special counter drive for backlash elimination.